The Government of Grenada has officially launched the Grand Anse Marine Protected Area (GAMPA), which stretches from the entrance of Port Louis Marina in the north to the southernmost point of the Maurice Bishop International Airport at Point Salines, and includes the island’s most iconic and populated beach at Grand Anse. Under the new designation, regulations will be implemented to protect approximately 1,965 hectares (~7.6 square miles) of marine and coastal environment, including coral reefs, dive sites and fishery resources. GAMPA is Grenada’s 4th marine protected area (MPA) and includes zones for recreation and diving, such as the famous Bianca C shipwreck, as well as designated zones for yacht anchorage and priority fishing areas. A northern anchorage zone and mooring site for Grenada’s yachting community has been identified to minimise harm to critical ocean floor ecosystems, such as coral reef and seagrass beds. The designation comes after 4 years of government and community negotiations, led by the Ministry of Agriculture, Lands Forestry and Fisheries, The Nature Conservancy and a stakeholder management committee. Some of the major stakeholders consulted during the process included the Marine and Yachting Association of Grenada (MAYAG), the Grand Anse fishers (line, seine, spear and net fishers), Port Louis Marina, Grenada Scuba Dive Association, Grenada Tourism Authority, Grenada Ports Authority and the Grenada Hotel and Tourism Association. The aforementioned groups reached a compromise and are in agreement with the designation, as they recognise the value of MPAs to the conservation of marine resources. MPAs are a widely-used conservation strategy that preserves marine ecosystems by coordinating human activities within the area to allow for both environmental protection and sustainable economic development. Grand Anse was identified as a critical site for protection due to the large amount of recreational and economic activities in the area, the possibility for conflicts between resource users, and the impacts such uses can have on the environment. Grand Anse waterfront boasts numerous hotels, restaurants, dive shops and homes while hosting hundreds of visitors and up to 140 yachts per day. Fishermen also frequent the area, and the MPA boundaries include sections under the jurisdiction of the Ports Authority and Port Louis Marina. Without a coordinated strategy for sustainable development, such high traffic can leave the area vulnerable to overuse and pollution. As a small island developing state, healthy marine resources are critical to Grenada’s economy and culture. 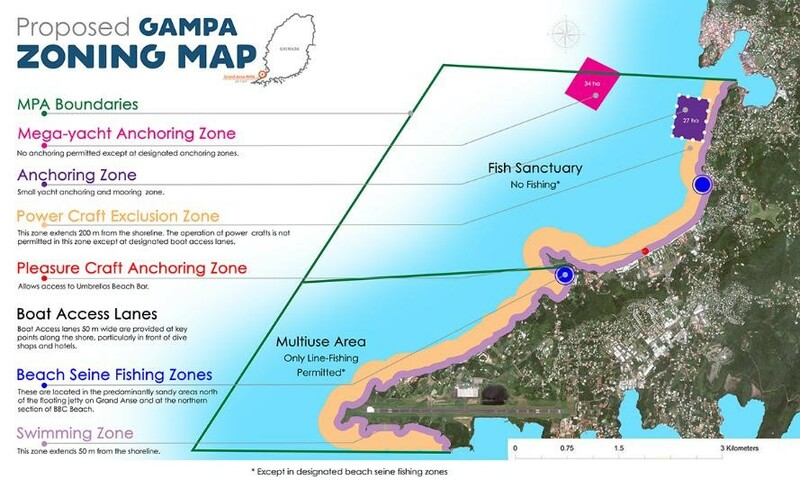 The protected zones and the coordinated management plan that has been developed for the GAMPA will help restore nearshore biodiversity, replenish fish stocks, and reduce further damage to coral reefs. As part of the stakeholder consultation process, the Grand Anse Fishers Association became a registered entity that will continue to be a voice for fishers who access the protected and surrounding areas. The Grenada MPA Programme, led by the Fisheries Division, is working to identify alternative activities to enhance the livelihood opportunities for nearby fishers. The discussions are aimed at ensuring that there will be no adverse impact on the income of these fishers as a result of the declaration. The declaration of Grenada’s 4th MPA is a significant step in the country’s commitment to conservation. The declaration was made possible through a collaborative effort between the Ministry of Agriculture, Lands Forestry and Fisheries and The Nature Conservancy under the Climate-Resilience Eastern Caribbean Marine Managed Areas Network (ECMMAN) Project and with funding from the German Federal Ministry of the Environment, Nature Conservation, Building and Nuclear Safety (BMUB). My father advocated for an MPA near Pandy Bay since 2010 and even placed moorings there before he was told he had to move from the area. Why isn’t he involved in this project? Why hasn’t he been credited for any of the work he’s done? I don’t want to believe it’s discrimination against our own people in order to pacify foreign investors.. This is outrageous! Really!!! 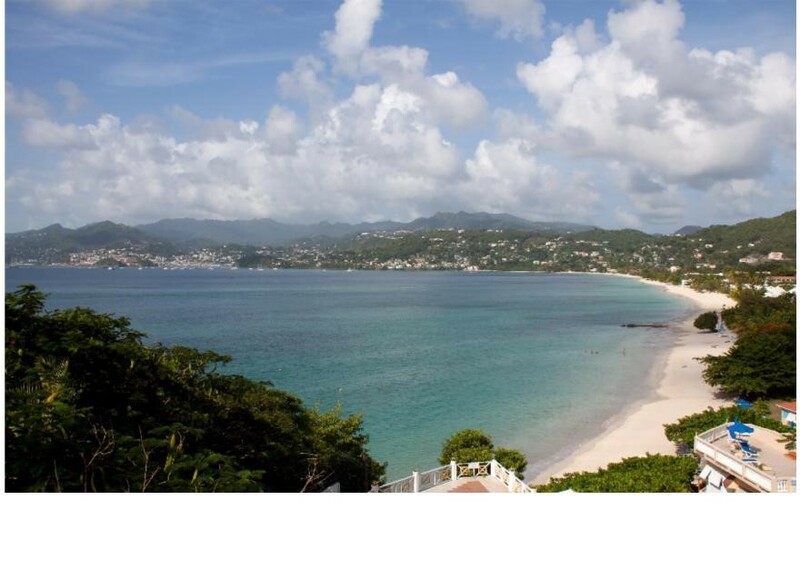 Is the Grand Anse area the only coastal water around Grenada worth protecting?